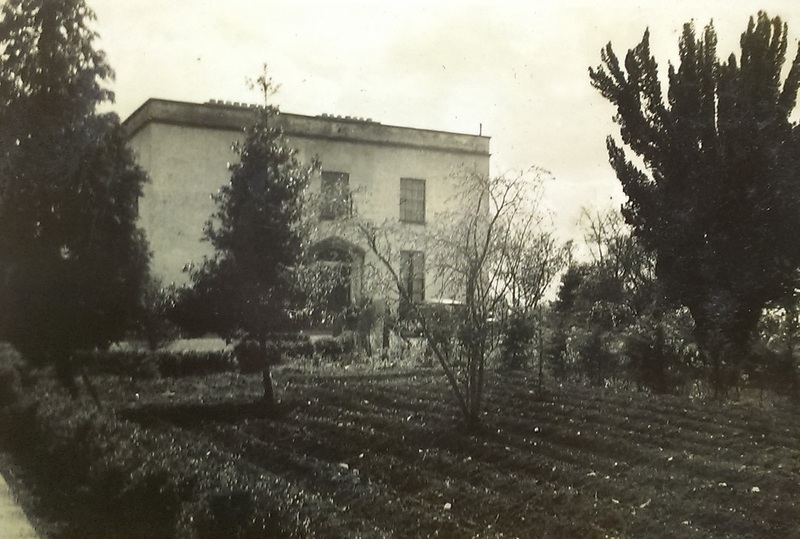 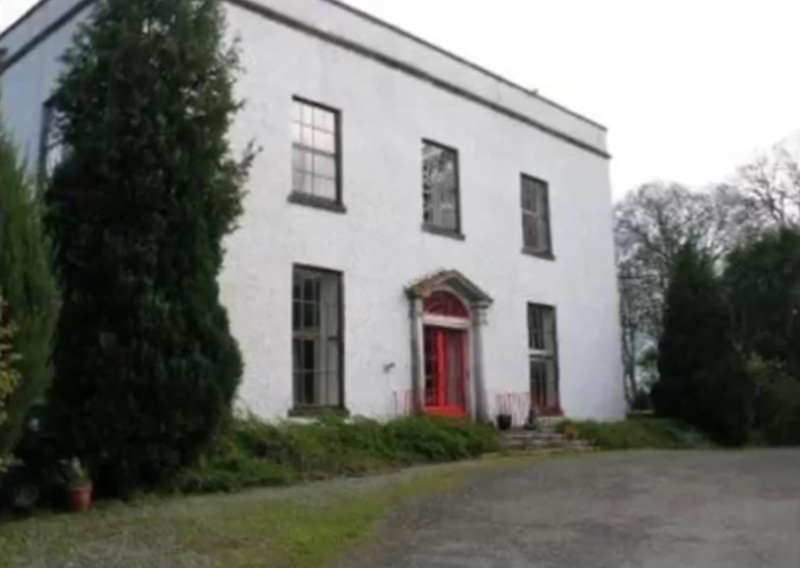 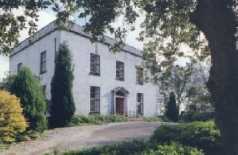 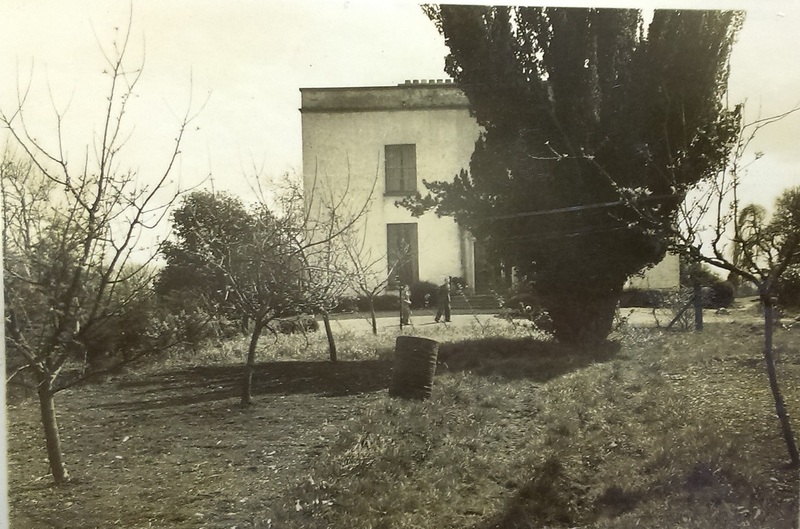 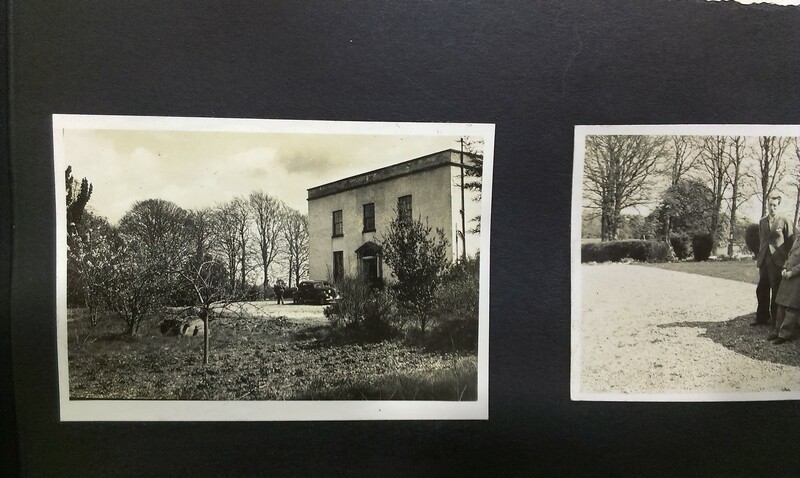 Large Georgian house on 100 acres at Prosperous, near Naas, Co.Kildare. 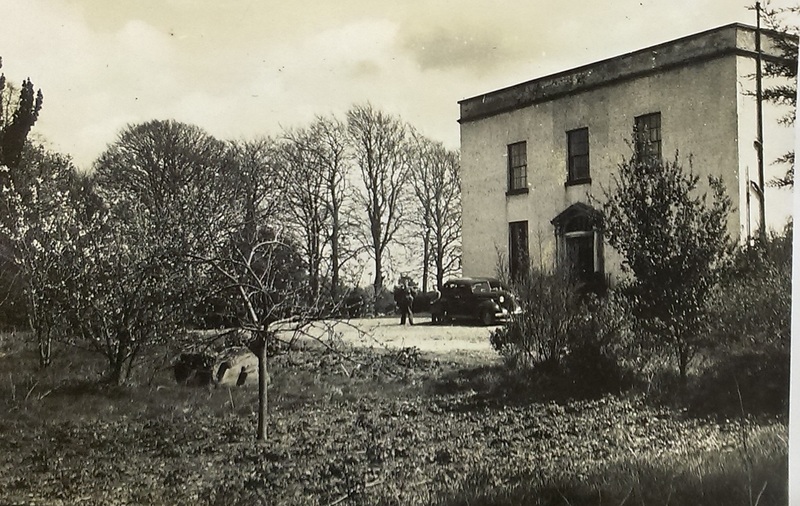 Home of Stephen Rynne from 1932. 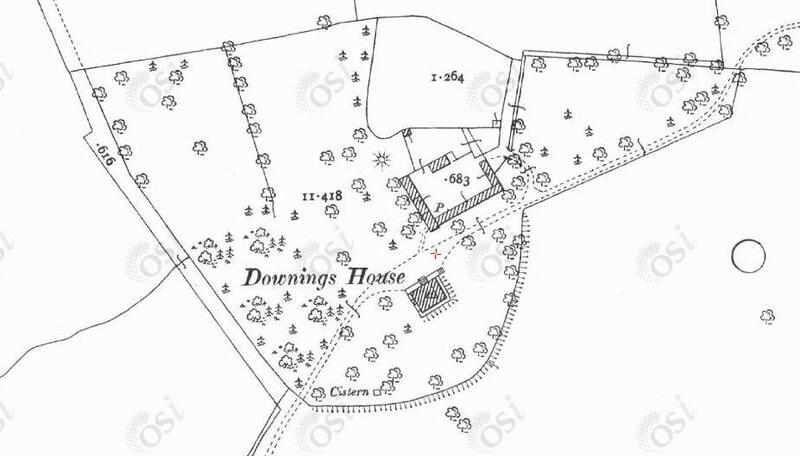 Downings House in [Taylor and Skinner, 1777]. 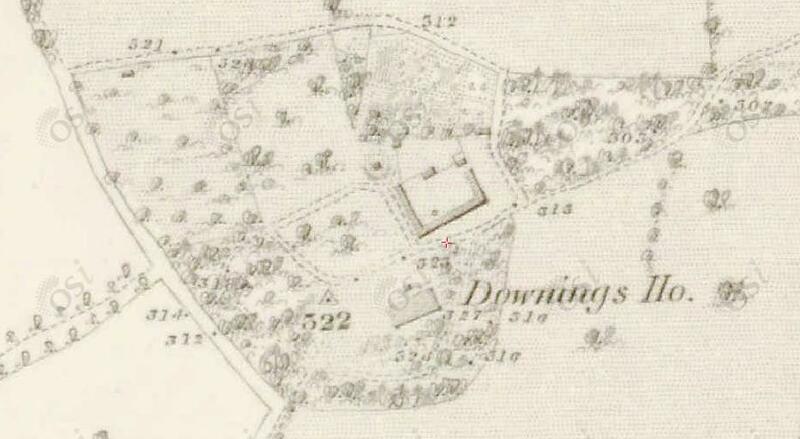 Downings House on 1829 to 1842 map. 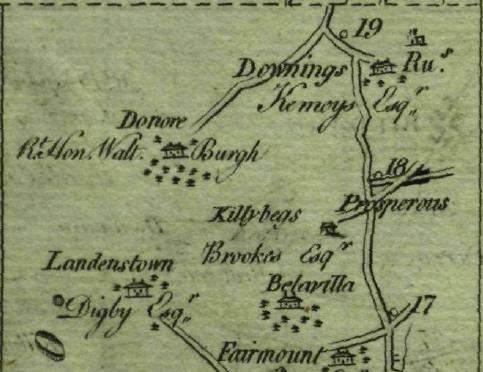 Downings House on 1887 to 1913 map. 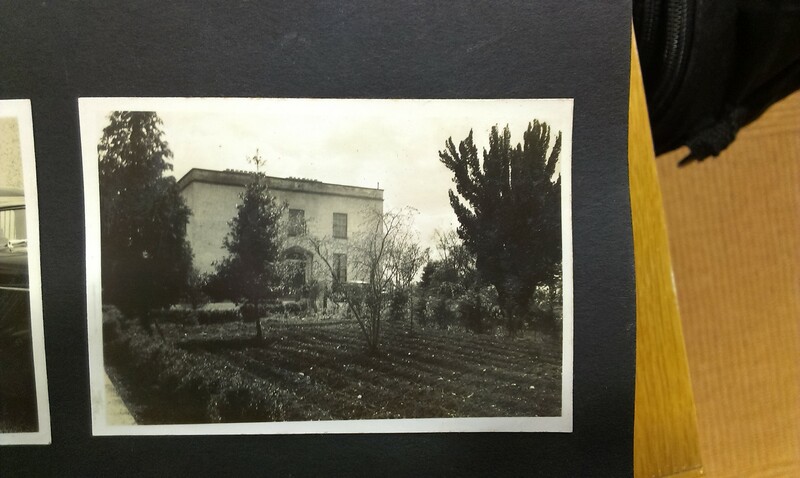 Looked like c.1928 from album. 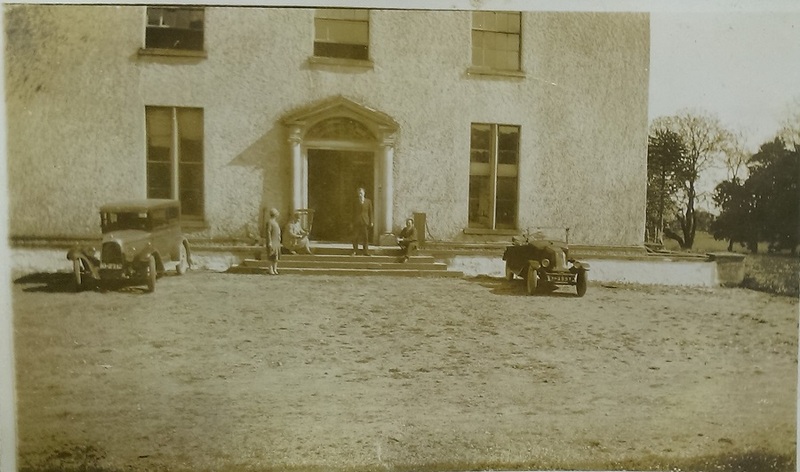 But Rynne not supposed to be there until 1932. 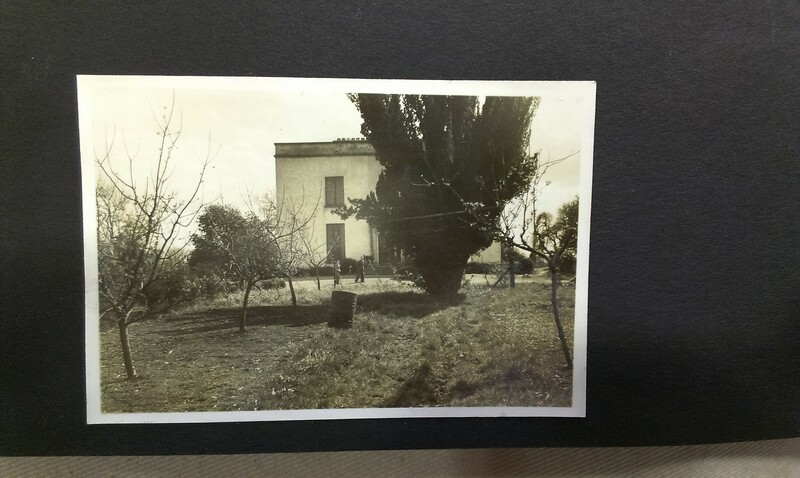 From [P40/914]. 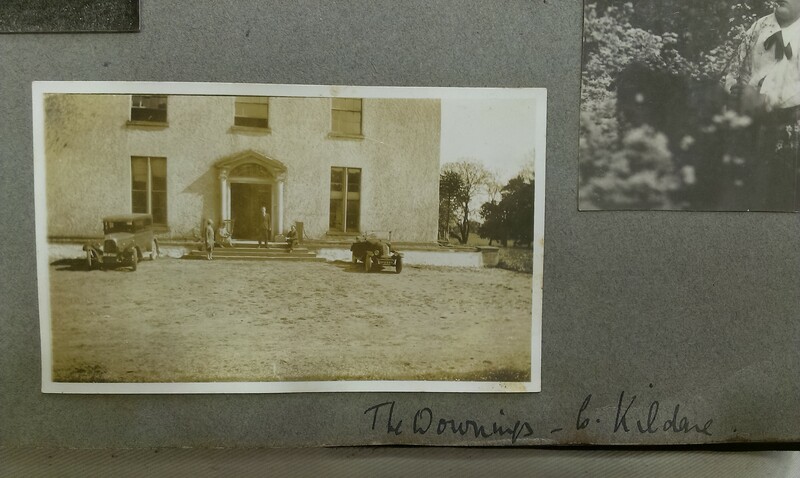 Used with permission of [UL Archives].